I guess we can all agree that in life, one can not be loved by all, there will always be a portion that hates you with or without valid reasons. 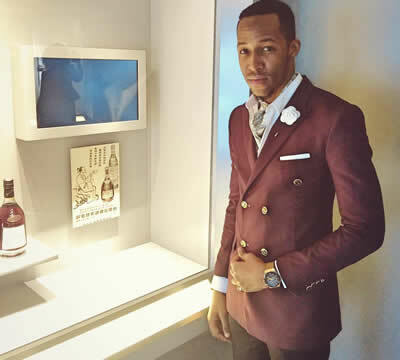 Straight to the point, Big Brother Africa 2014 'Hotshots' winner Idris Sultan from Tanzania continues to suffer the wrath after coming out tops in the reality TV game show. We all remember how tight it was between him and Nigeria's Tayo, actually most people thought the model was taking it home but destiny had something else in store. 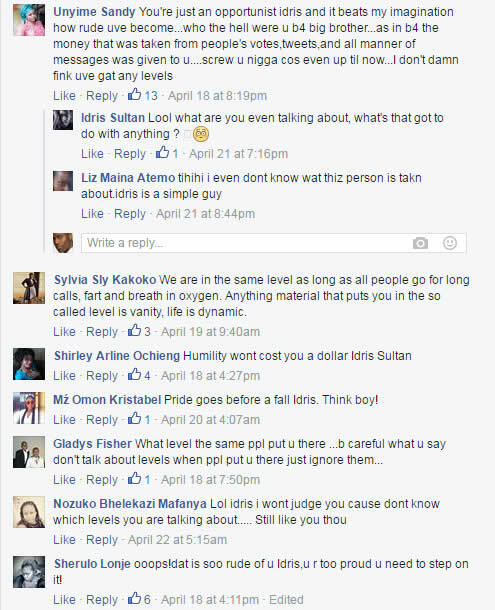 A few days ago, comical Idris shared on his Facebook wall something about "Levels" that people need to put into consideration before commenting on others posts. This fetched mixed reactions with a bunch feeling offended by his idea. "Things people need to understand before commenting on your posts," he reasoned! Some followers went personal and hurled insults at poor Idris calling him an opportunist, woman snatcher, liar, proud and all.